One of the many dilemmas of mommy is making sure that our kids finish their food at school. Some of my mommy friends have this problem. They are afraid that their kids are not getting enough energy through out the day because they can’t finish the foods they have prepared for them during their break time. The solution that most of us do is just give them their favorite food, just to make them eat something than nothing at all. Unfortunately, most of the time our kid’s fave are the forbidden food like hotdogs, chocolates, chips and candies. But, we all know that healthy lunches and snacks are important for active children. Here are my personal advise that you can do for your kid’s lunchboxes. One of the complains I heard from kids were “it’s sandwich with cheese again? this is the same baon I’ve got yesterday!” As a mom, I understand that sometimes we don’t have time to prepare or plan what to give to our kids, so we ended up getting what’s the easiest to get at the pantry. But, making a fun and healthy baon is not hard to do. You just need to add a dash of creativity. Kids Lunch box should include fresh fruit, vegetables and a combination of protein, dairy and carbohydrate foods. If they want some hotdog, make sure to add some fruits on the side to balance it. When you go to the grocery stores, ask them to get their own snacks. When I have no time to cook, I let Ren decide what to buy for his baon. Some of his choices include the Pumpkin Cupcake from Tous Le Jour, Aunt Annies Pretzel, Subway Egg and Cheese Sandwich and the cheese pizza from Sbarro. At the grocery store, he choose to get Dutchmill for his drinks and Monde Mamon or Nissin Waffers. Kids need a reminder to do something. A sweet note from you can make them remember to finish their lunch, behave in school or just stay awesome. Here are some of my husband’s note for Ren that I put in his lunchbox. 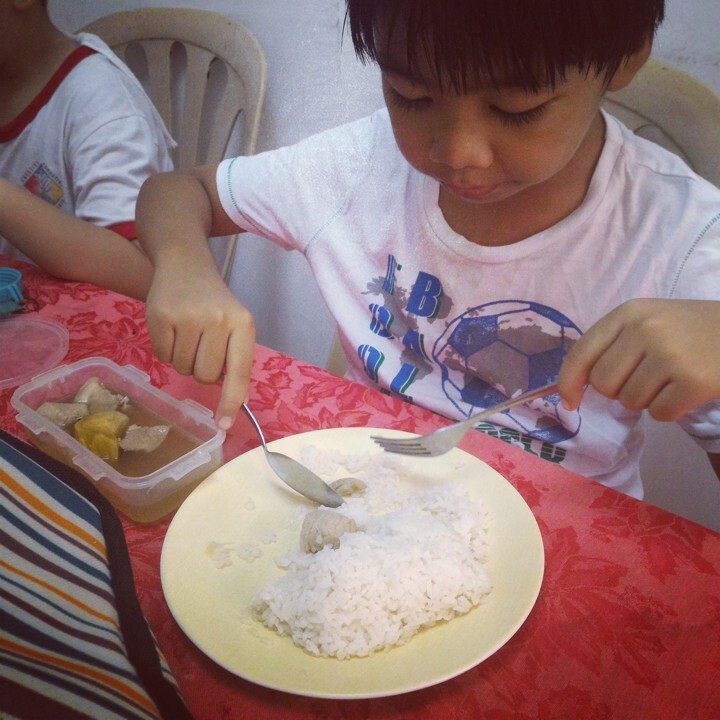 I’m glad that I don’t have a problem with my son with regards to finishing his baon. He always go home with a clean lunchbox. I think Propan TLC helps him to have a good appetite. Propan TLC has vital nutrients essential to help meet child’s physical and mental needs for optimum growth, strength and good health. Propan has Lysine to boost your kid’s appetite. If your child does not get enough lysine from his diet, he may experience fatigue and loss of appetite. It is now available on 250ml. Check the nearest drug store in your area and give your kids Propan TLC everyday. Do our kids need Food Supplements?